Bits are carbide tipped for long life in tough applications. Centric conical tip guides bit through concrete and provides optimal hole geometry. Wear mark alerts user when bit is no longer precise. Longer life in rebar vs. standard bits. One-piece, thru-hole bits are designed for fast work without the need to change shanks. 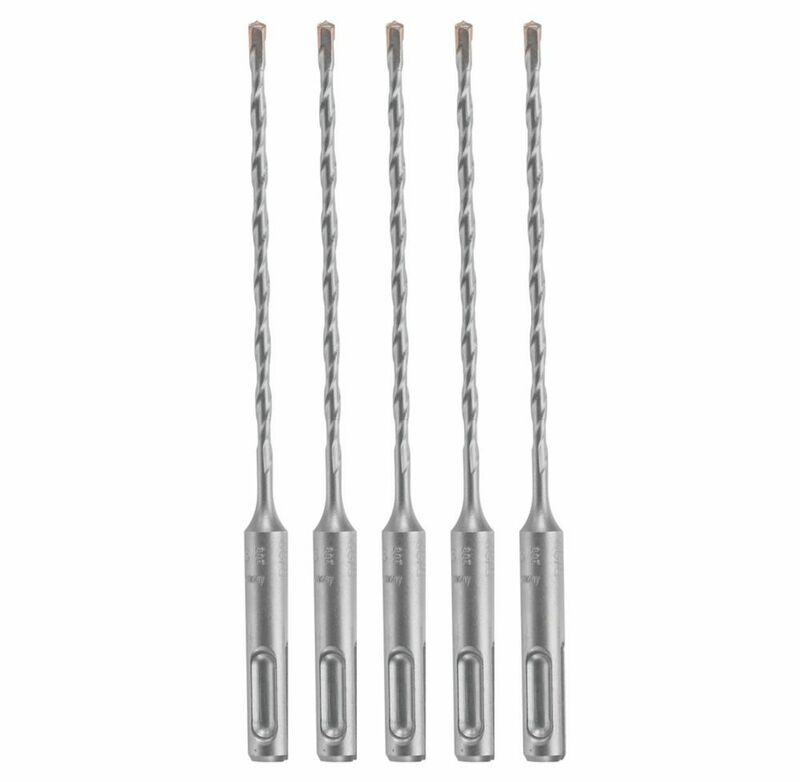 The all-in-one core with SDS-max shank transmits power directly to the end of the bit. Thru-hole bits are more economical because of long life. Bosch BlueGranite Turbo bits begin with the aggressive holds achieved with the PowerGrip shank. Steel teeth that extend from the shank are designed to catch between the jaws of power tool chucks. Bit is easy to chuck in the tool and wont slip. The tip of the BlueGranite Turbo bit is Bosch carbide, diamond ground for precise starts to avoid scratching and skating in tile and hard stone. 5 pc. 5/32 Inch x 6 Inch SDS-plus Bulldog Rotary Hammer Bits Bits are carbide tipped for long life in tough applications. Centric conical tip guides bit through concrete and provides optimal hole geometry. Wear mark alerts user when bit is no longer precise. Longer life in rebar vs. standard bits.